The PA system requirements at Crossroads.TV Church are unlike those of a “traditional” house-of-worship audio install. Crossroads.TV’s progressive Weekend Experiences feature loud, edgy music intended to attract and speak to younger generations. The new VUE system is able to accommodate those needs while maintaining clear sight lines from all areas of the room. 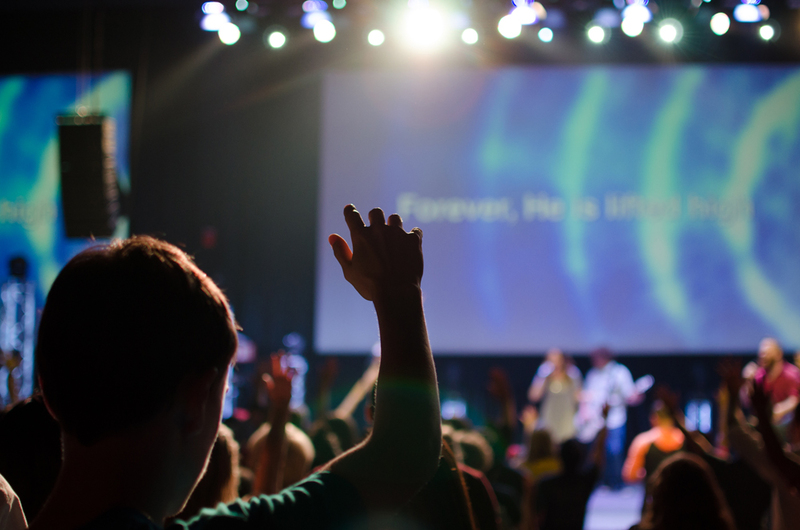 Valley Bible Fellowship hosts regular concert performances by some of the biggest names in the Contemporary Christian music space including Audio Adrenaline, Phil Wickham and Trip Lee. 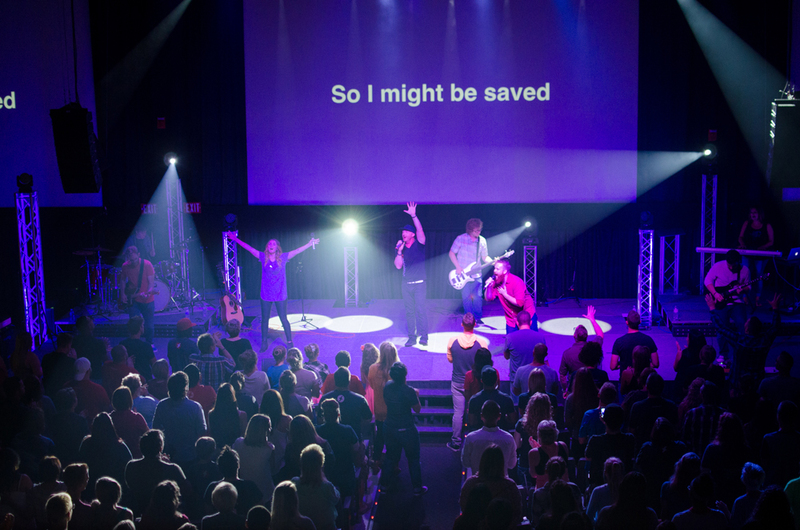 Crossroads.TV Church’s Lancaster campus opened in September 2012 at the Fox Family YMCA with less than 100 members. But with attendance growing to nearly 400 congregants weekly, the church outgrew the space and needed a new home to prepare for further growth. Three theaters in the cineplex were renovated and combined into one 600-person capacity theater by tearing down two walls. The VUE system design allows the entire theater to experience the music as well as the message through two main hangs, each with eight VUE al-4 Subcompact Line Array Systems, plus four as-215 Dual 15-inch Vented Subwoofers arrayed in a cardioid pattern on the ground. Each al-4 features dual Kevlar-cone woofers with neodymium magnets, plus a 1-inch compression driver with VUE’s proprietary Truextent® beryllium diaphragm. Truextent® beryllium diaphragm technology delivers dramatic improvements in the high-frequency range and provides response linearity far beyond that of traditional aluminum or titanium diaphragms. The al-4’s compact profile (10.2 x 18.9 x 5.4 inches) avoids line-of-sight issues for the congregation while producing average SPLs of 113 dB. The as-215’s produce a usable LF response down to 38 Hz and are capable of 128dB SPL long-term continuous. A small center fill of two VUE a-8 Compact Full Range Systems was added on the stage lip to provide direct coverage for the first few rows. The Crossroads.TV Church resides in an unconventional setting: a converted 3-screen cineplex. Located in the River Valley Mall in Lancaster, OH, Crossroads.TV Church is a progressive-style church with a mission to help people get on the path to God. The renovated 600-seat venue is also available for rental to host outside events.